When it comes to building your own log home there are many things we need to consider. I imagine you’ve already searched for various other guides online, however many of these guides don’t contain the crucial information which you need. 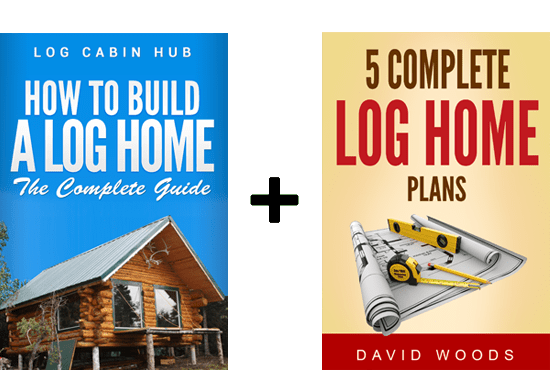 Most people who want to build their own log home struggle because they don’t have the right information; such as how to apply and successfully get a building permit, how to source, fell and notch logs, how to build a cabin foundation… The list goes on! Many people also have ideas about what their log home would look like, but don’t have access to proven plans which have been used time and time again to build natural, sturdy log homes. 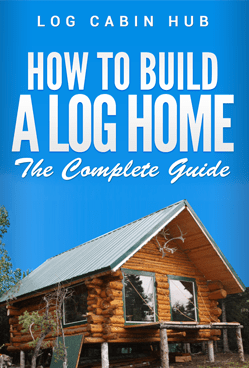 How To Build A Log Home: The Complete Guide is the most comprehensive resource out there. It will take you through step-by-step every single step of the process to build a log cabin. Comprehensive details on log felling and harvesting, foundations, construction techniques, notching and maintenance with detailed color diagrams & photographs so there’s simply no guesswork involved. Most importantly it’s a practical-minded resource for those wanting to build a log home and it puts a lifetime of building and teaching into one simple guide. Clear Step-By-Step Planning – this book “holds-you-by-the-hand” through the planning stage, construction phase and maintenance phase. Advice on choosing the most cost effective construction techniques (i.e. notching) for you. So you can build an affordable log home. Comprehensive Land & Site Selection Advice – Checklist to ensure you consider all the important, often forgotten, factors to finding the perfect plot of land with extensive guidance on permits and zoning. Detailed Log Selection & Tree Harvesting Guidance – learn when is the best time to fell logs, picking the right size logs and preparation methods (cutting, debarking and drying). Follows a real life example throughout, of a couple with no previous experience, so you can see the techniques put into action by beginners. Tried and Tested Construction Techniques – For each step I give detailed construction discussion and techniques in plain English; avoiding unnecessary technical jargon. Q. Can I build a log home on my own with no experience? There is a strange misconception that the average person might somehow be incapable of building a log home. There have been thousands of log homes built by homeowners, who never once built a log home before. This detailed, informative step-by-step guide will show you that you too can build your own log home. Please send any other questions you may have to us via our Contact Us page. Here at Log Cabin Hub we’ve been fortunate enough to help hundreds of people, just like you, turn their log cabin vision into a reality. You will too. We’re so confident that you will love the guide that it comes with a 30 day no-quibble refund guarantee. Q. How do I get access to the guide? We’re in the digital age and one of the things I’m really excited about is how we deliver this guide. It’s very simple. Once you’ve bought the guide, you will receive an email from us with a download link to the guide. 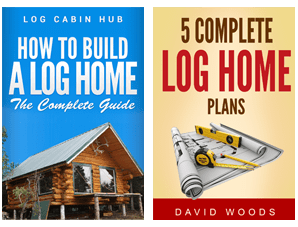 How To Build A Log Home: The Complete Guide comes in three different bundles – each of which has been customised to meet your exact needs. This package is ideal for people who want log home floor plans, elevations and designs for their dream log cabin. Contains pack of 5 log cabin home plans- including floor plans and elevations. Plans range from small one bedroom homes all the way through to large three bedroom family homes. Each plan comes complete with: A Front Elevation, Side Elevation, Floor Plan and Room Sizes. Detailed scale plans used throughout. Home description, dimensions and more! This is our most popular package and contains both ‘How To Build A Log Home: The Complete Guide’ and the ‘Log Home Plans Package’ which contains 5 unique log cabin designs including floor plans and elevations. This package is ideal for people who want to know how to build their own log home but don’t currently need floor plans. Step-by-step guide which gives you the confidence to understand the process and feel comfortable enough to actually build your own log home. Hi there! For those of you who don’t know me, I’m David Woods, founder of Log Cabin Hub. I’ve created Log Cabin Hub because I have a love of log homes. For me the aura of a log home is like no other. The warm cozy feel and natural sturdiness take me back to a simpler time. This love for log homes has led me to help other people, and over the years I’ve helped lots of people build their own dream log home. Because of my passion and knowledge of log homes , I am in a great place to help serve you and the wider log homes community. I know exactly what it takes to build a log home and I want nothing more than for you to have your very own log home! My team and I have been working for the past several months to bring this guide together for you. We’ve researched, spoken with other log home owners, and experimented to help bring together the very best information for you. It’s all here, from simple designs and plans all the way through to the nitty-gritty know-how. Believe me when I say it’s the most thorough and detailed guide you’ll find (we’ve looked)!